Does what it says it is supposed to do and does it perfectly. HIGHLY recommended! In response to other commenters post I have this splitter running 8 corsair fans perfectly fine. Initially I had the same issue you were reporting when on a regular fan channel. switching to the cpu header channel as the instructions say fixed this issue. all fans now have full speed control via motherboard cpu header. Does exactly what is says it does. 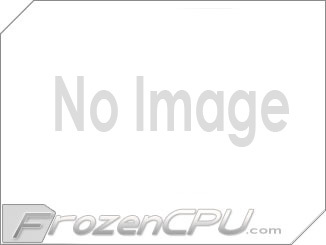 Using on my optional CPU fan header on Asus X79 Deluxe. Does NOT work with Corsair PWM fans. Look well built, rather nice splitters actually. Needed to run 4 fans for now and will be adding 2 more when I upgrade one of my radiators to 480mm. The mounting tape on the back is too thin to really mount to anything, I had to remove it and use my own thicker 3M mounting tape. After getting this mounted and all wires ran my fans would only run at 100%. I have been running Speedfan for months on this system running my CPU rad and case fans with out issue. After doing some research on Swiftechs help forums this is a known issue with Corsair PWM fans and this unit. Apparently Corsair fans need a very strong PWM signal to function. Since this has no kind of signal booster built in it will not allow PWM control of (in my case more than 3 fans) more than 4 fans at one time. Not Swiftechs fault, but would have been really nice to know before spending the money and all the time getting these wired into my build. Controls But Does Not Report. The problem with this product is that the RPM''s are not reported to the motherboard. Instructions say that only the fan plugged into the first port will have its RPS''s reported but no matter what fan I plugged into that slot my motherboard still did not see that a fan was connected. Since this is the CPU fan header, evertime I go to boot the computer I get "CPU Fan Error Message" and have to press F1 to reboot. I now have this connected to my video cards fan header via an adapter and am using the Afterburner to control the fans. This is less than ideal though since fan speeds are based off of GPU instead of CPU temps. When I first hooked it up to the GPU it was the same as the motherboard and didn''t read any RPM''s but now suddenly after a couple of weeks of use it is reporting RPM''s, so I may try connecting it to the CPU again. FYI, I have the 4-pin molex version, not the SATA connector version. Maybe they fixed it on the SATA verison. Great product! Does EXACTLY what is is intended to, and very well. Only modification I made was to swap the white connector for a black one, but otherwise, flawless out of the box! As stated prior, this ONLY works with PWM fans, not 3-pin (voltage) fans. I will be running a total of four of these in my Haswell build and I recommend them! As noted, this only works with 4-pin PWM fans. Also, you must connect it to a CPU fan header on your motherboard. EVEN IF your motherboard has other "pwm" headers, it will only give pwm control over all connected fans when connected to the CPU (or CPU-OPT) header; connected to any other header, all fans on this hub will run at 100%. Connected properly, it absolutely works 100%. A+ product. a well built product, but I get absolutely no PWM control like it''s supposed to. all fans run at max. note this ONLY does fan control on PWM 4-pin fans. 3-pin runs max speed.